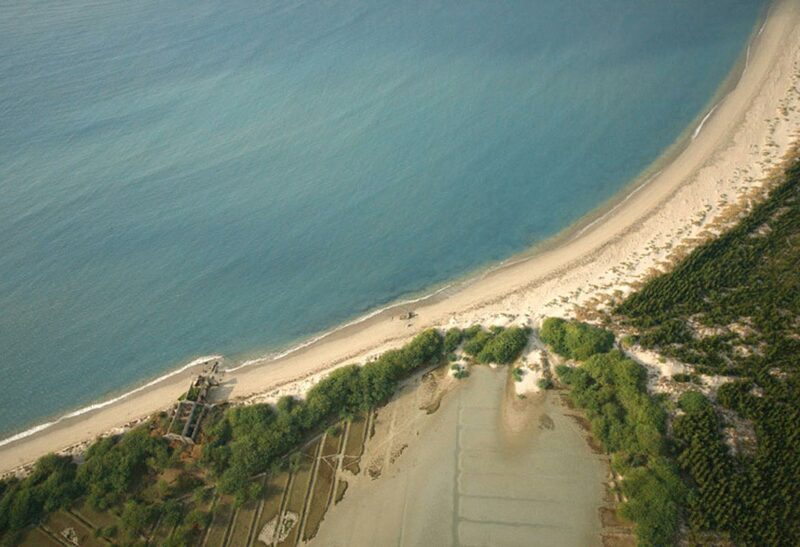 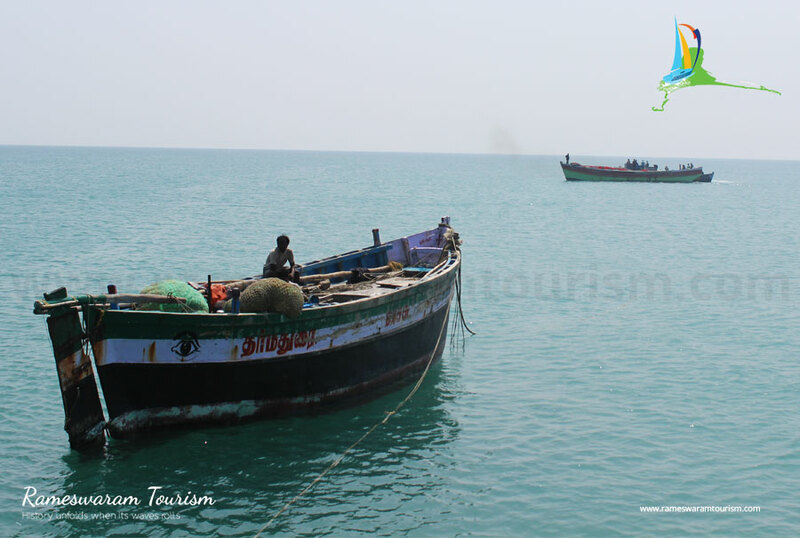 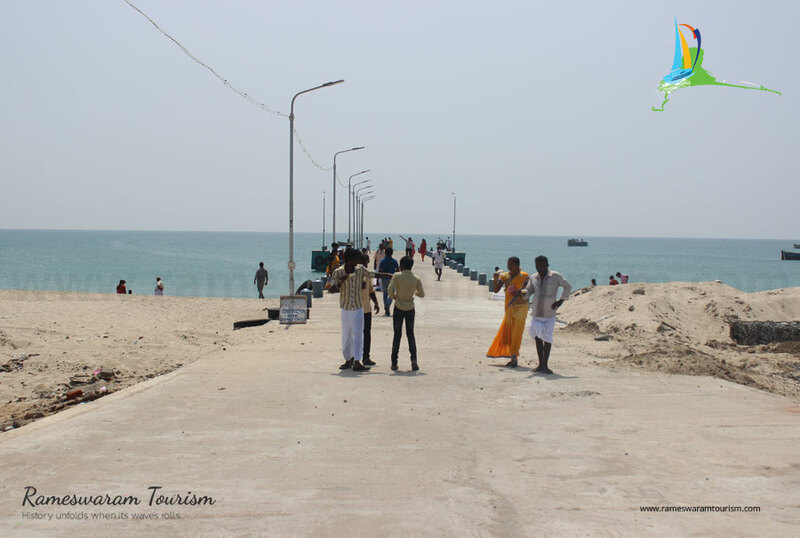 Dhanuskodi Beach Rameswaram, Situated at the south-eastern tip of Pamban Island of the Tamil Nadu state, is a place that exudes natural beauty. 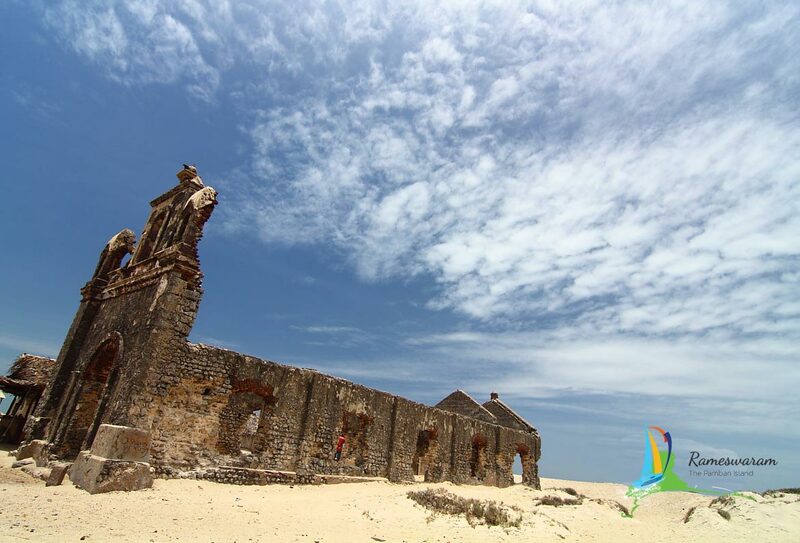 You can wonder how the place would have been long ago by looking at its historical ruins and at the same time relax your mind by looking at its ever natural beauty. 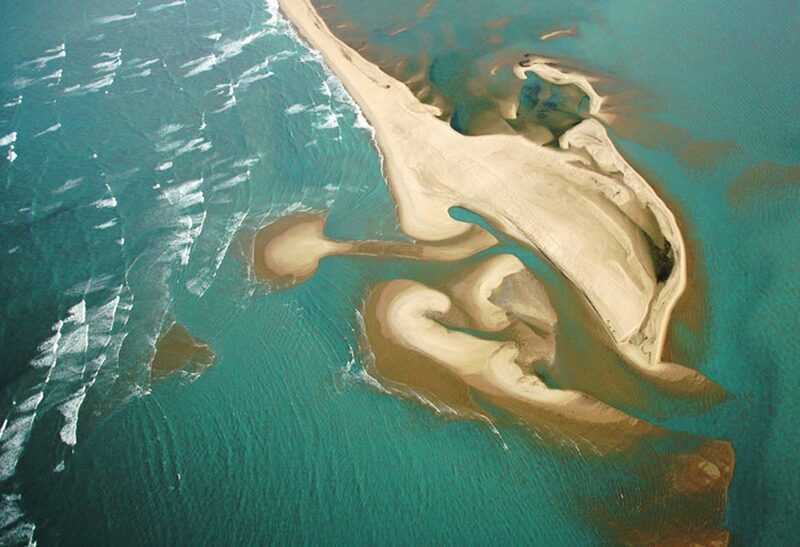 Even now there seems to be a series of rocks and islets which could be the bridge built by God himself!! 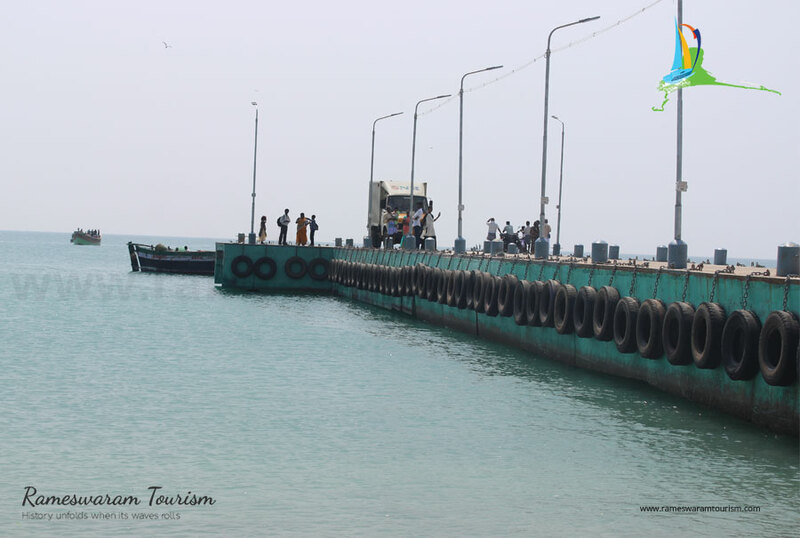 It is also a popular belief that this very bridge was an intact and passable on foot until a cyclone in 1480 CE destroyed the region. 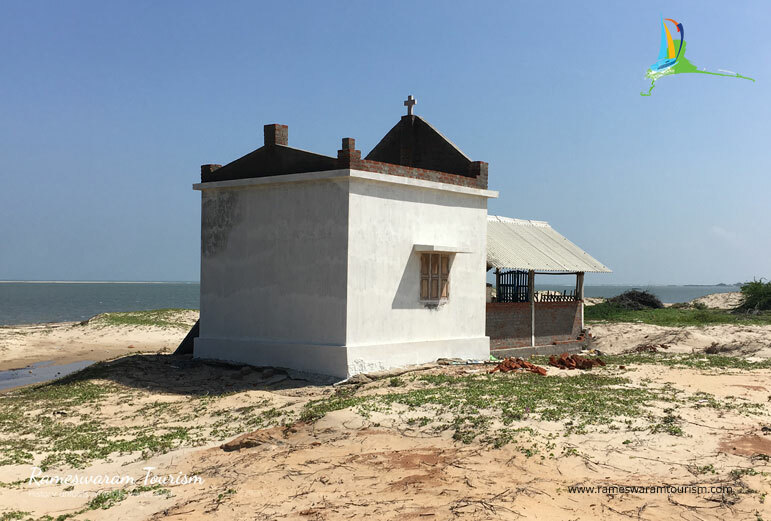 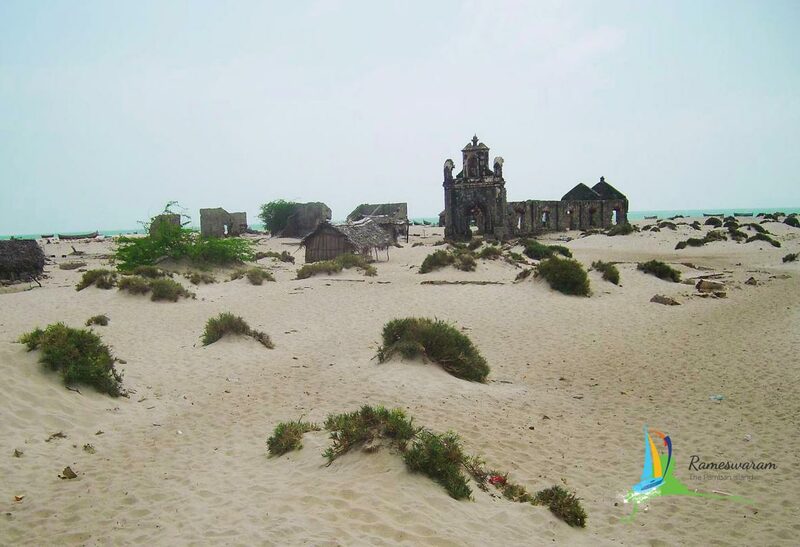 Dhanushkodi is a pilgrimage and one of the most important sites for the followers of hinduism.The Place where lord Ram started his journey to lanka is marked by the Kodhandaram temple. 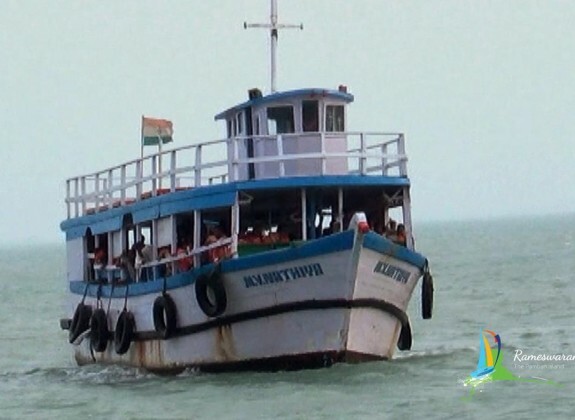 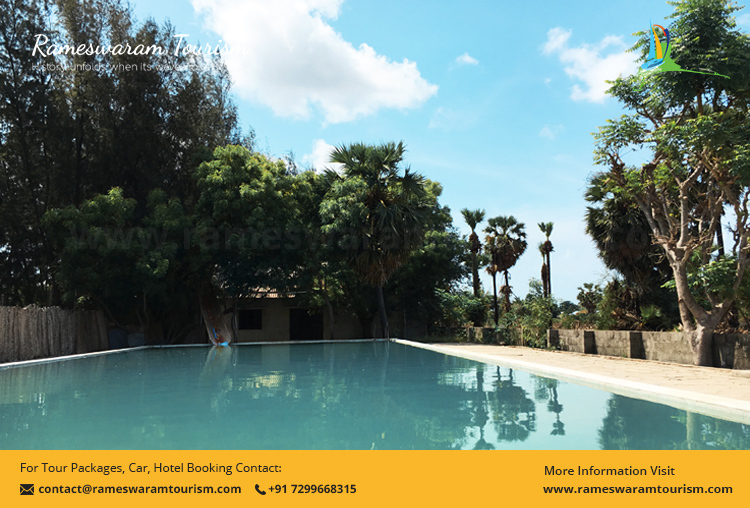 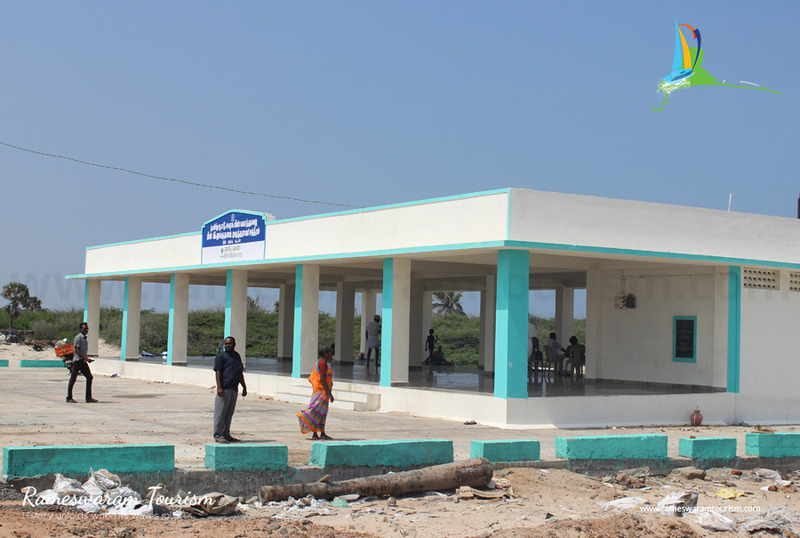 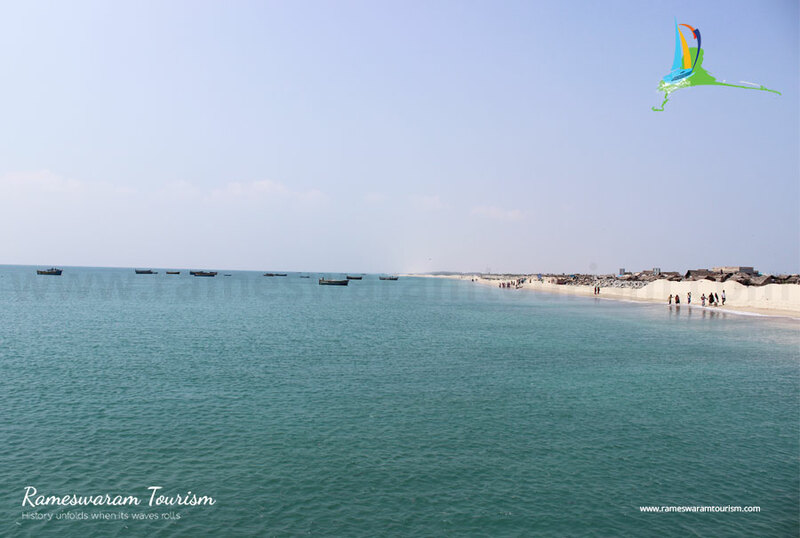 A spiritual bath is usually taken by the pilgrims after their visit to rameshwaram pilgrimage to kashi is deemed incomplete without the bath at dhanushkodi. 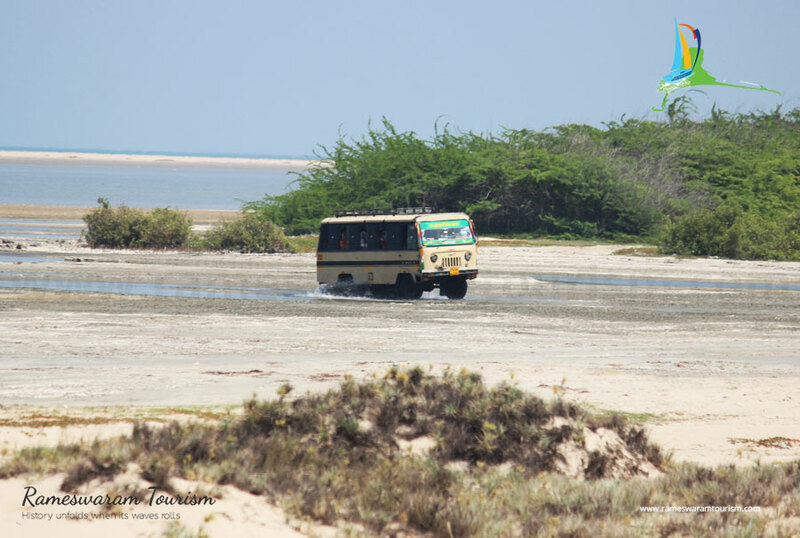 One of the scenic moments in life would be the sight of two different water bodies, with all different characteristics having a confluence at a place.And one of that place would be Dhanushkodi. 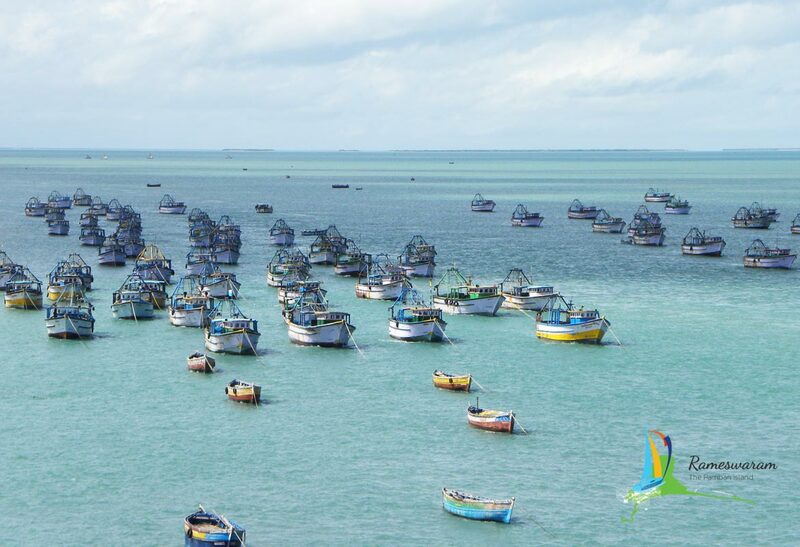 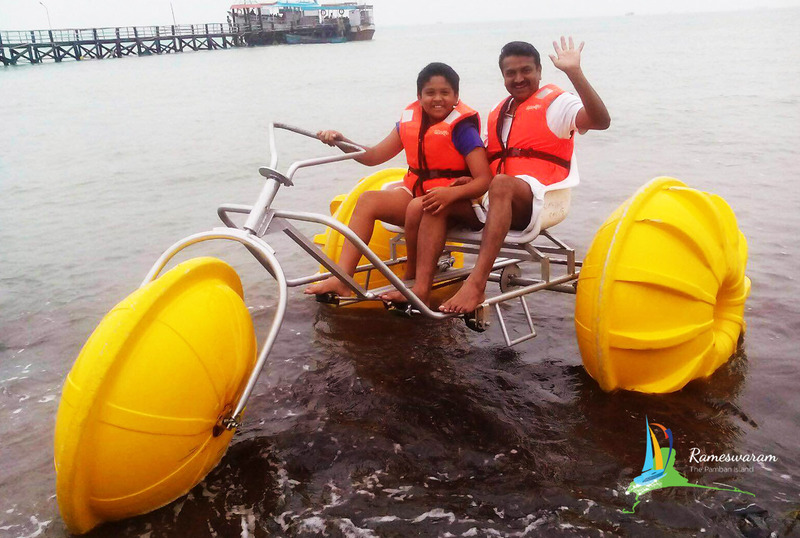 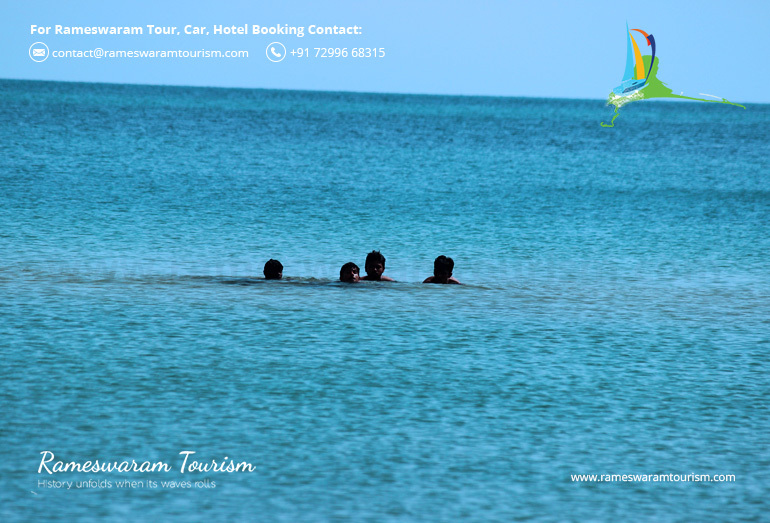 The ocean near Dhanuskodi Beach Rameswaram is the confluence of the Bay of Bengal and the Indian Ocean. 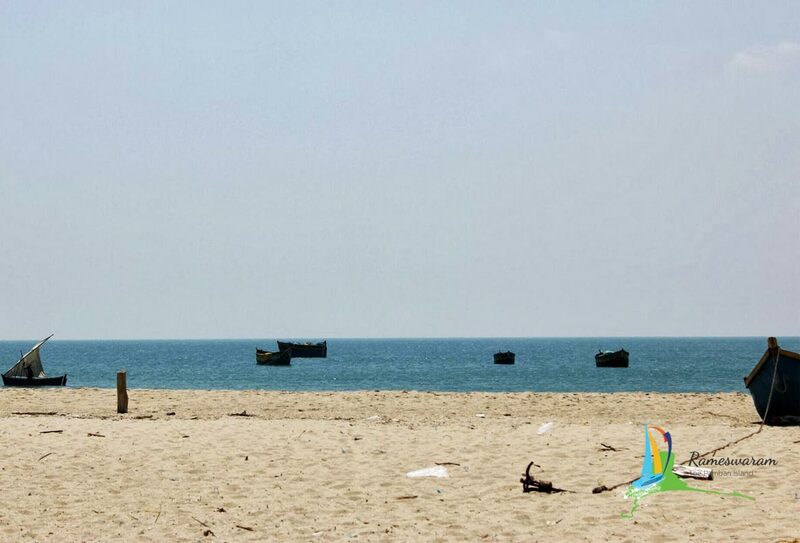 The Bay of Bengal is called Mahodadhi and the Ratnakara is the Indian Ocean. 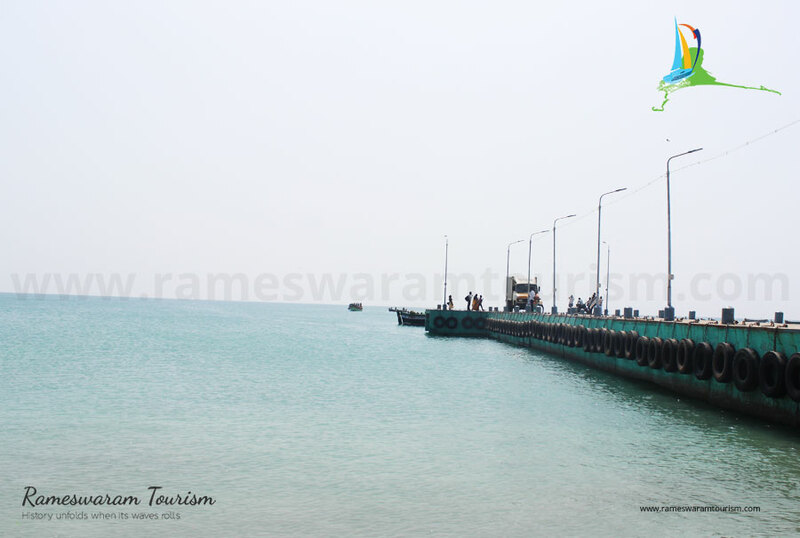 This confluence makes it a holy site and also a scenic beauty. 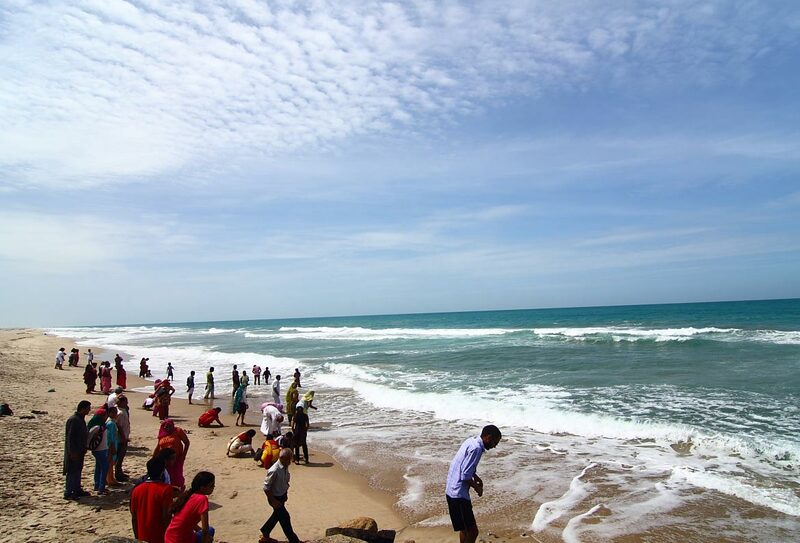 The Indian Ocean is usually rough and deep while the Bay of Bengal is usually shallow and calm. 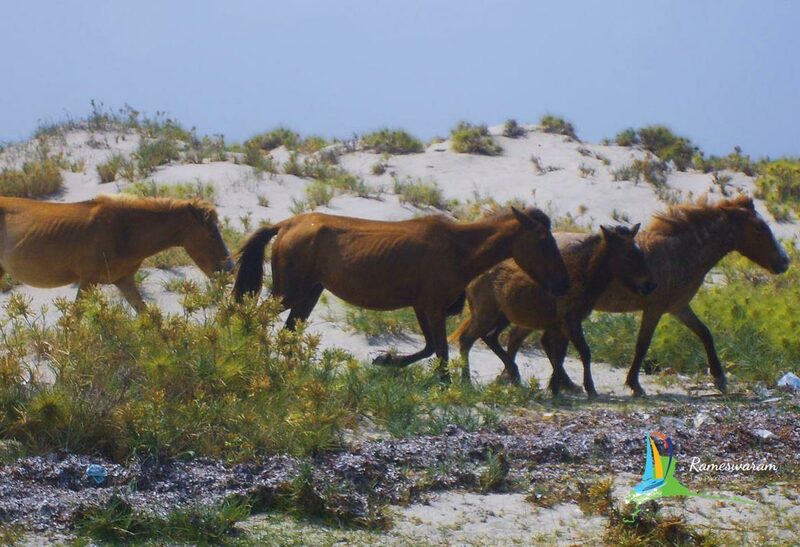 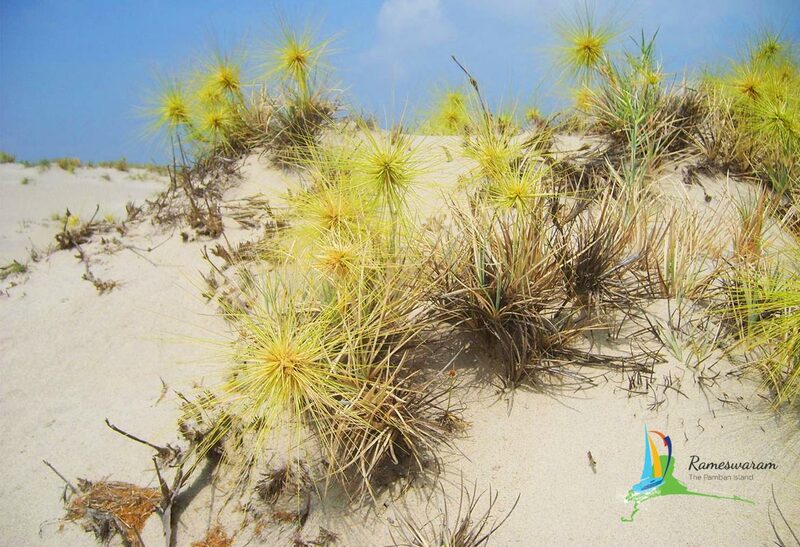 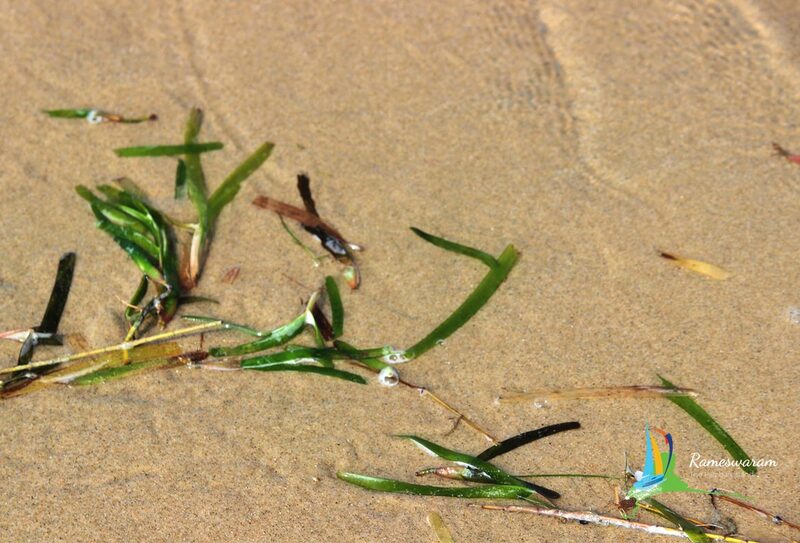 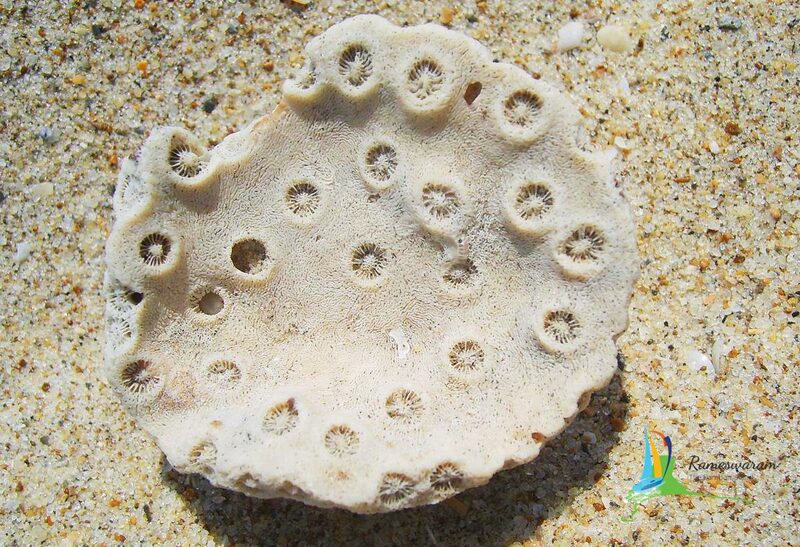 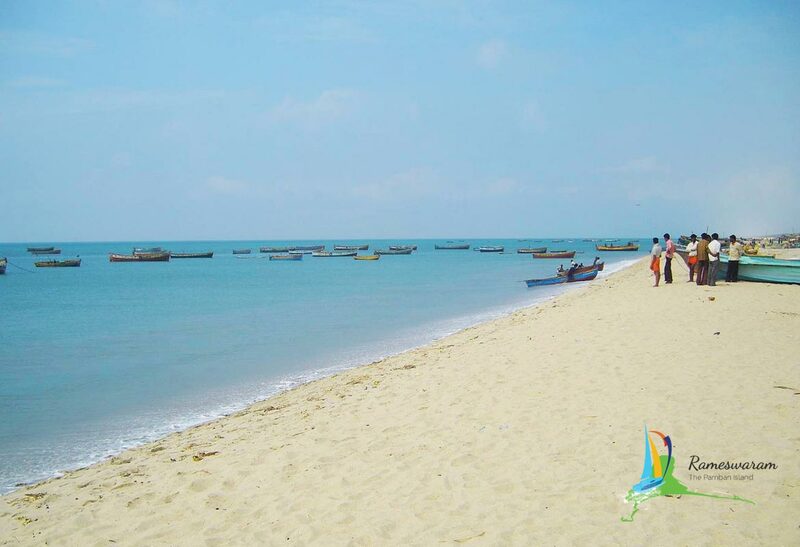 The shore near Bay of Bengal is shallow and hence one could walk and witness a rich marine life thriving in it.Corals, fishes, seaweeds and starfishes adorn the shallow shores of Bay of Bengal. 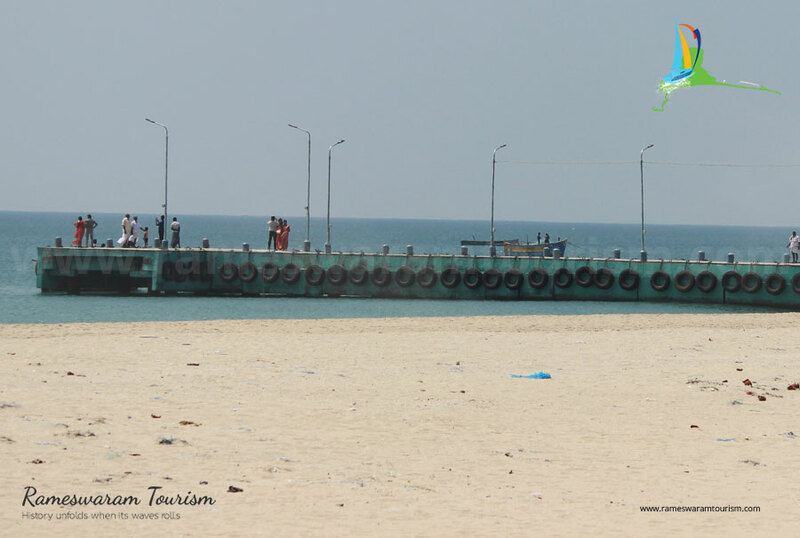 There is also a proud event that people here cherish. 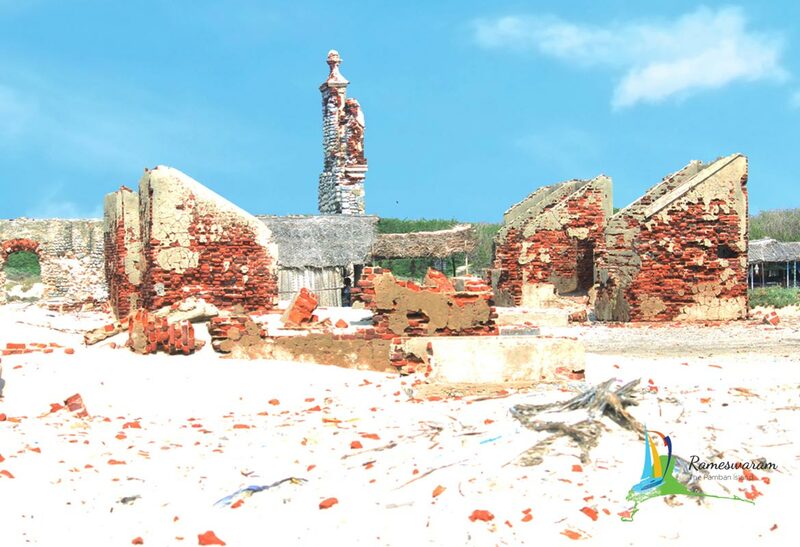 This is the very place where, in January 1897 Swami Vivekananda a great philosopher from India set foot on Indian, after his famous speech at the World’s Parliament of Religions held in the United States. 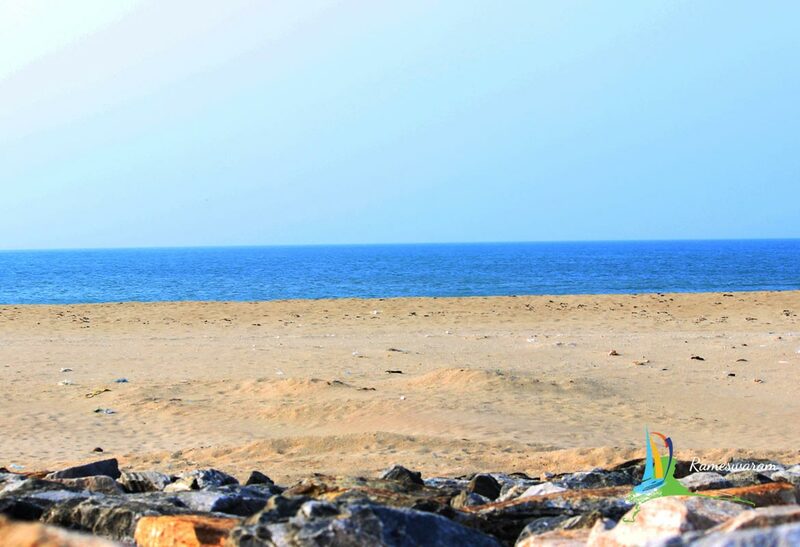 Lo Behold!! 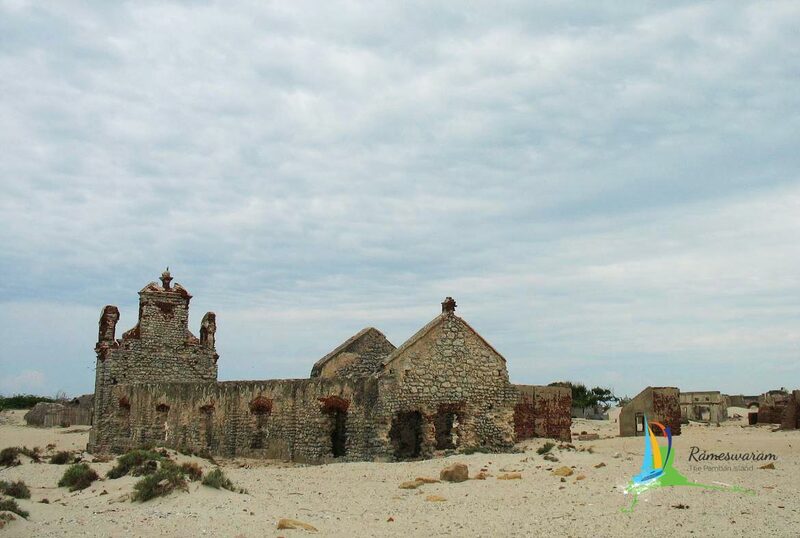 It is a ghost Town. 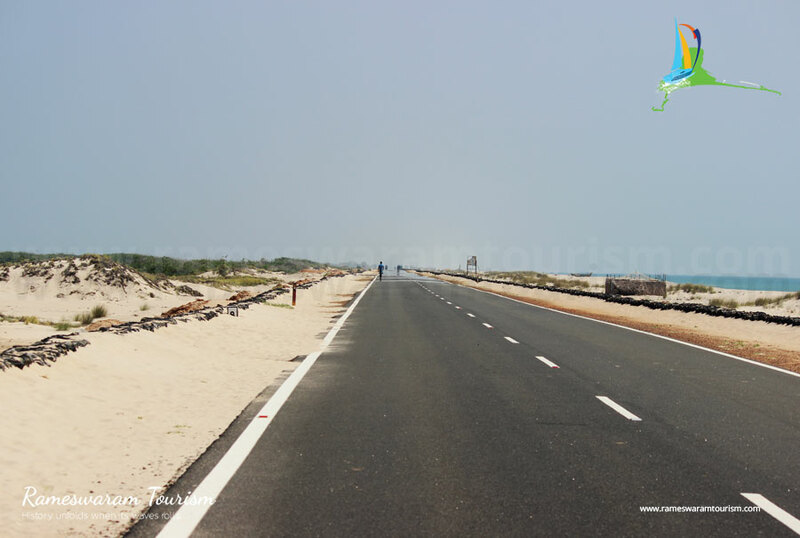 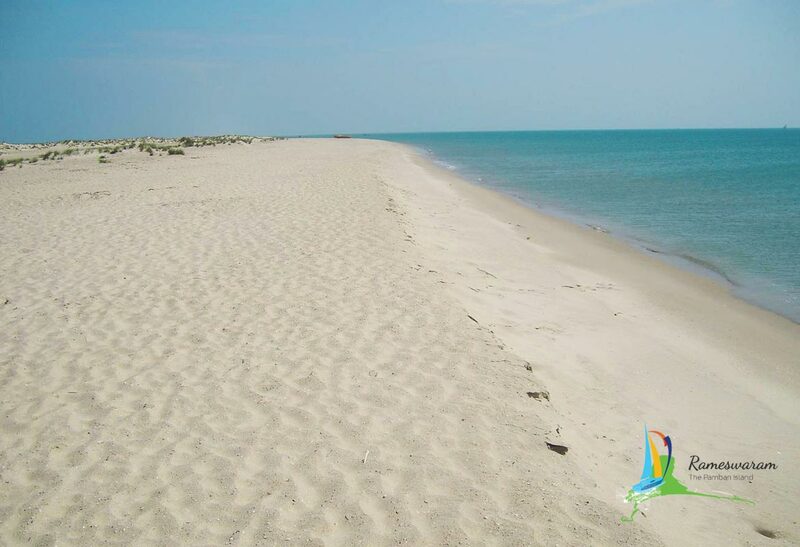 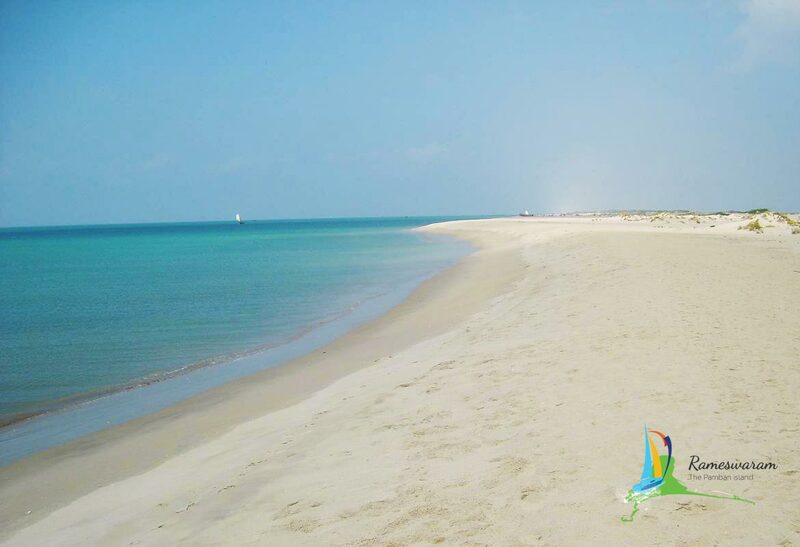 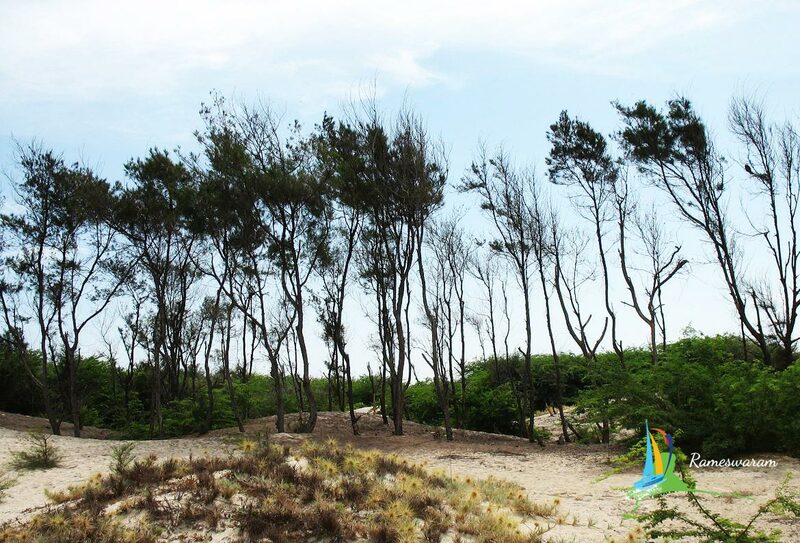 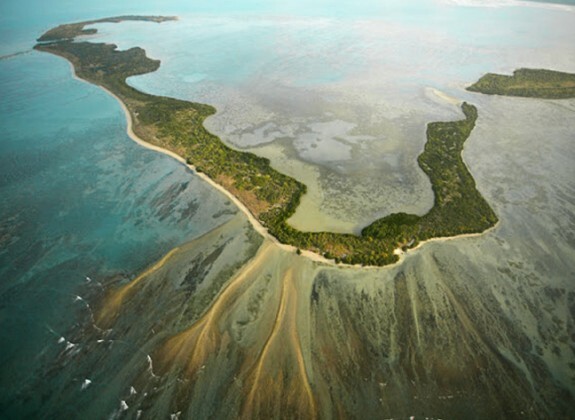 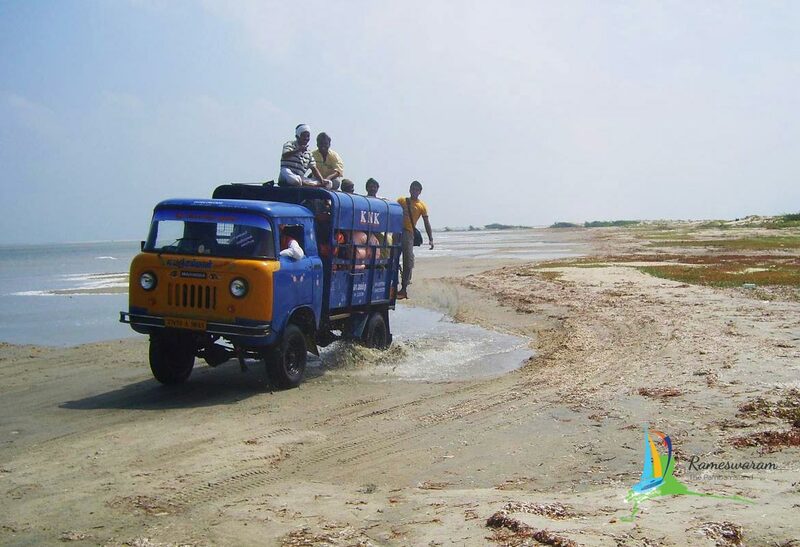 The reason for it is the 1964 cyclone commonly referred as the “Dhanushkodi cyclone”. 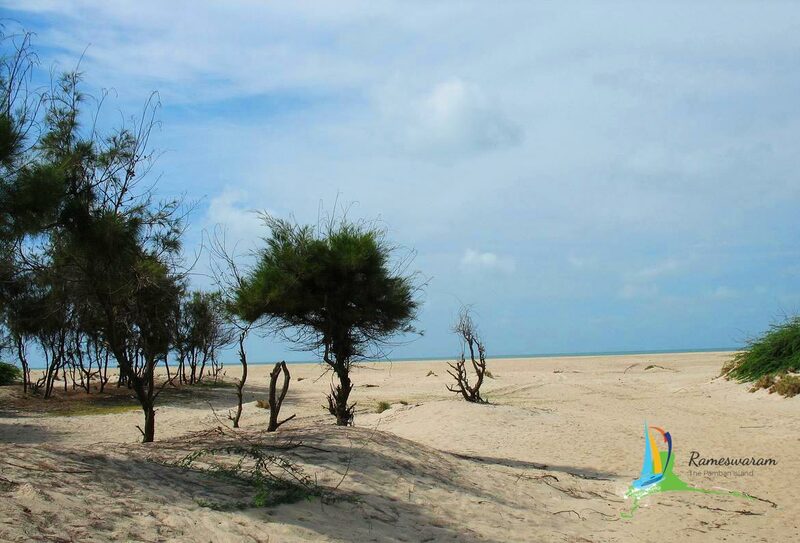 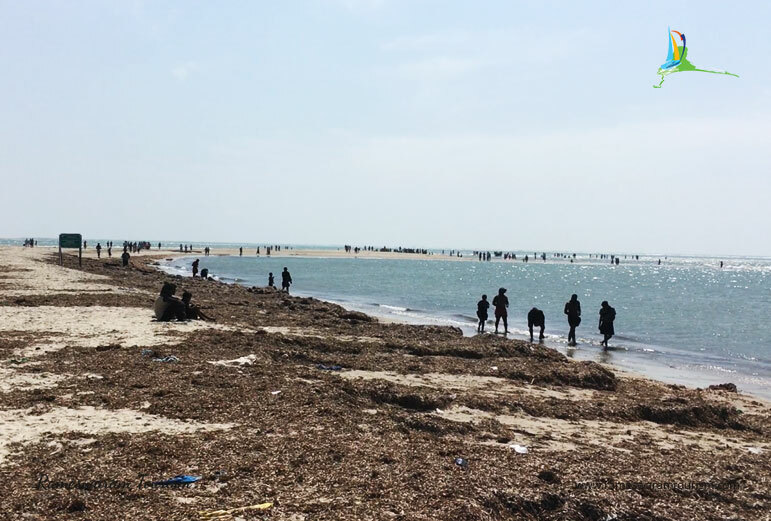 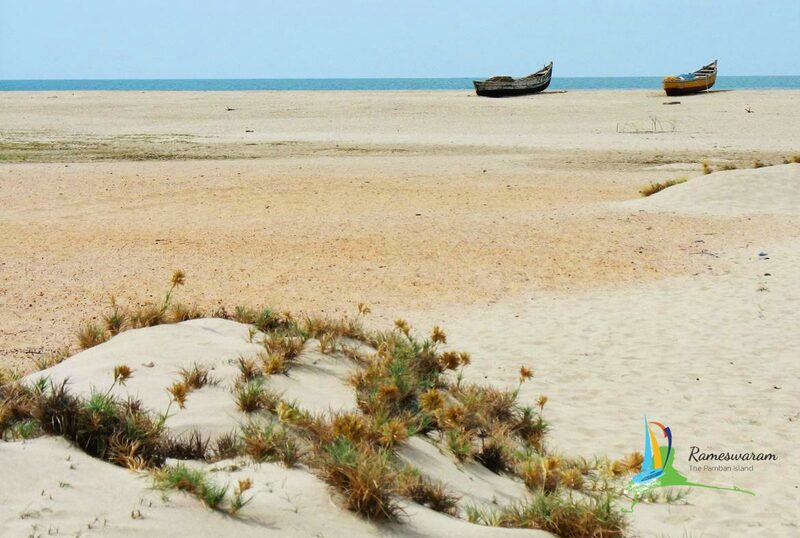 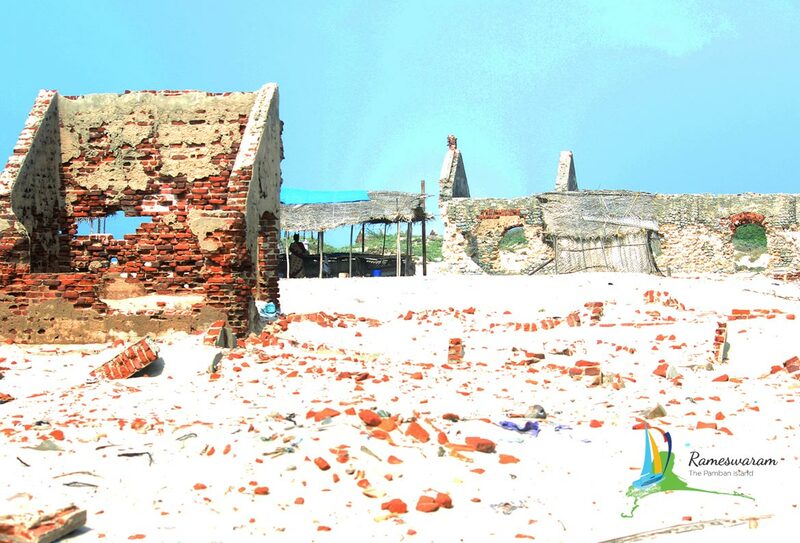 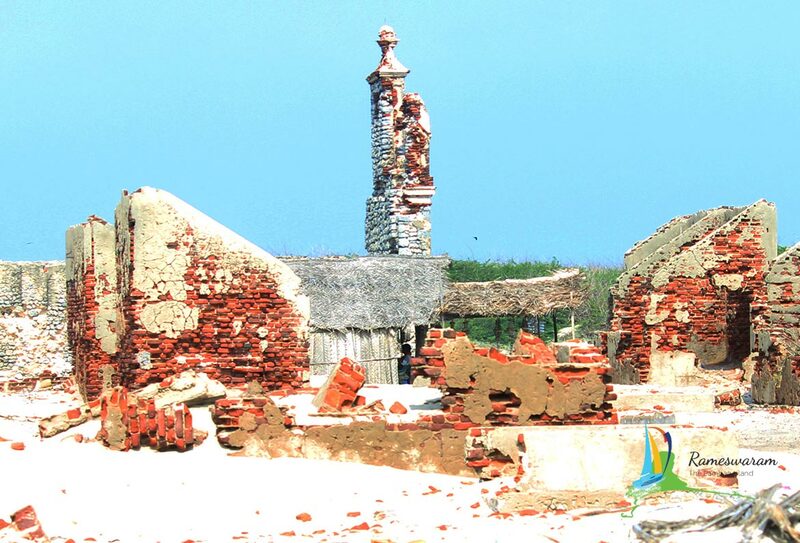 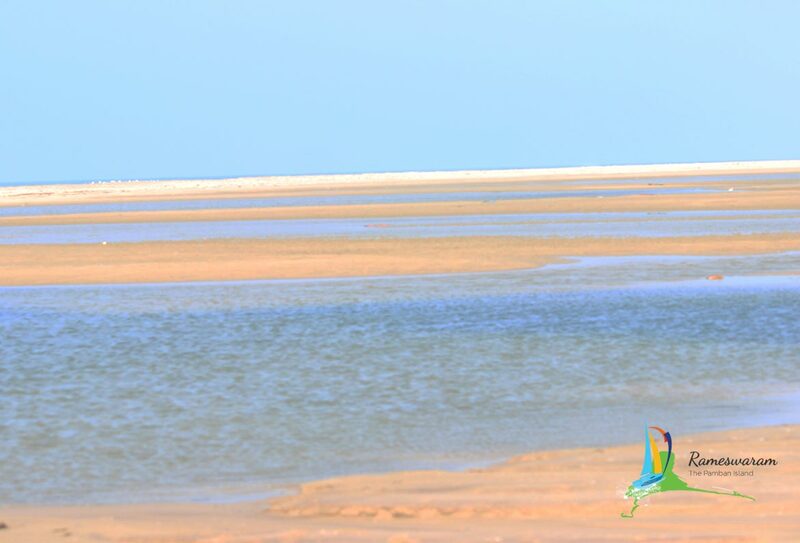 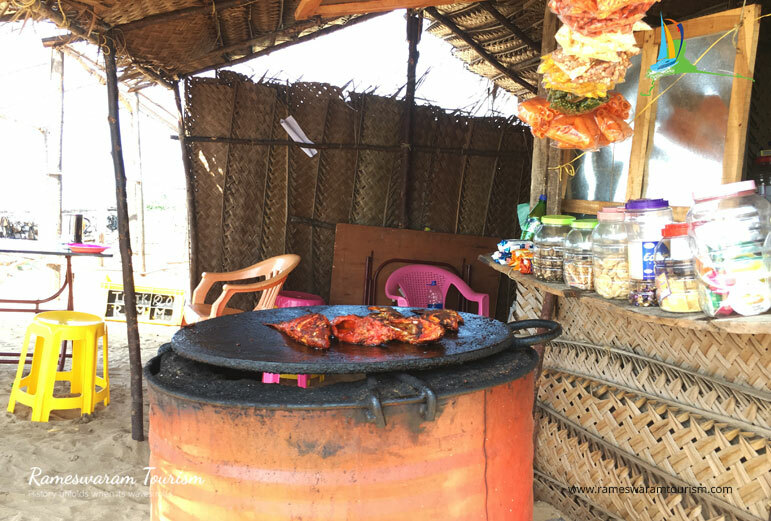 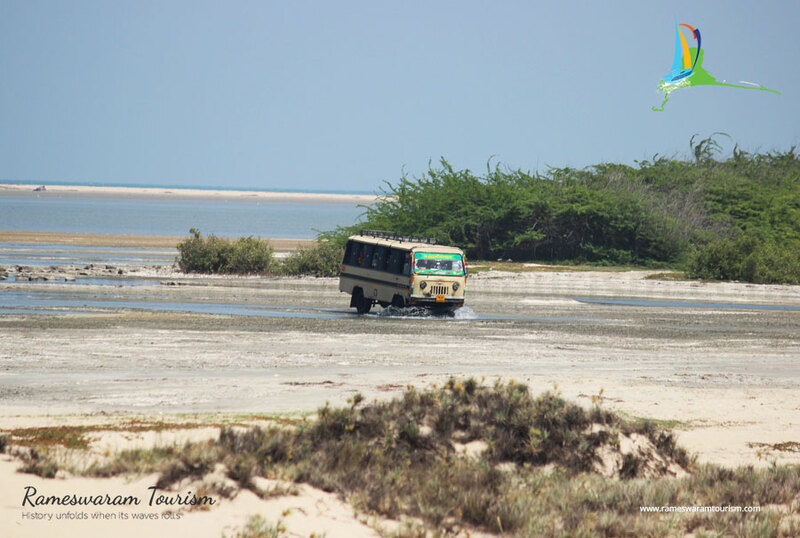 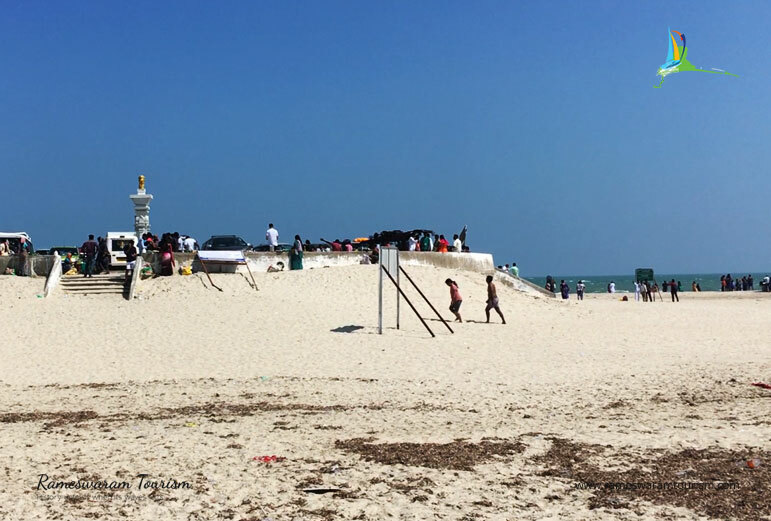 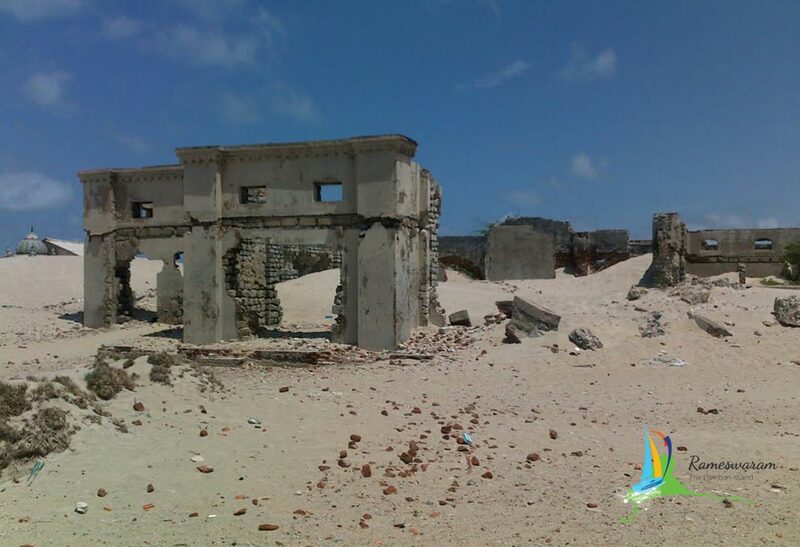 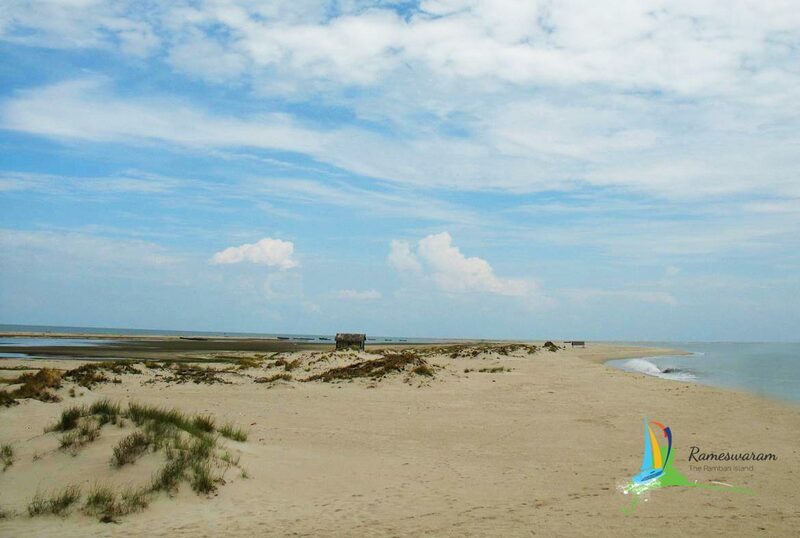 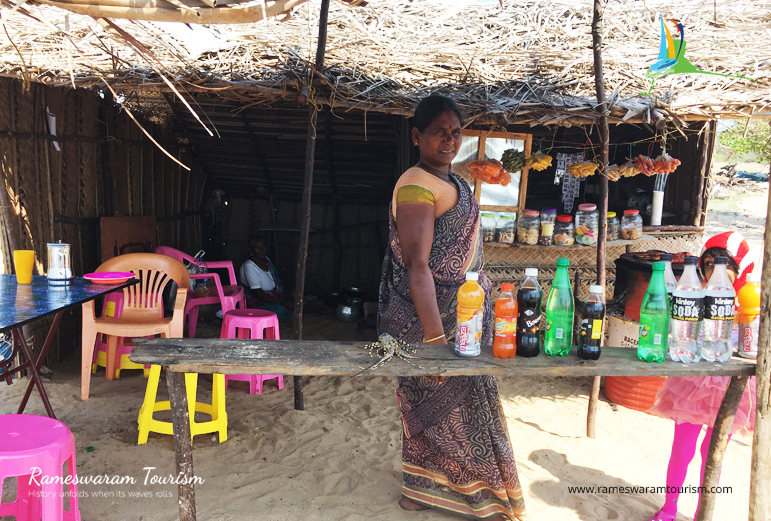 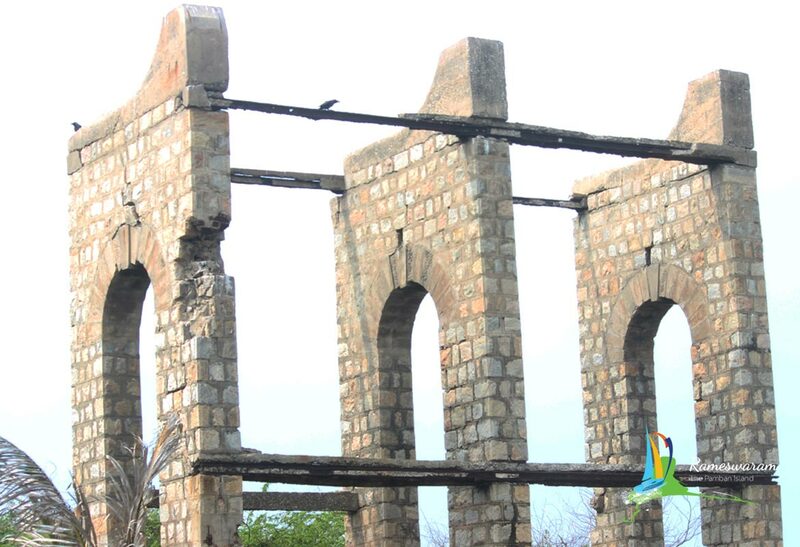 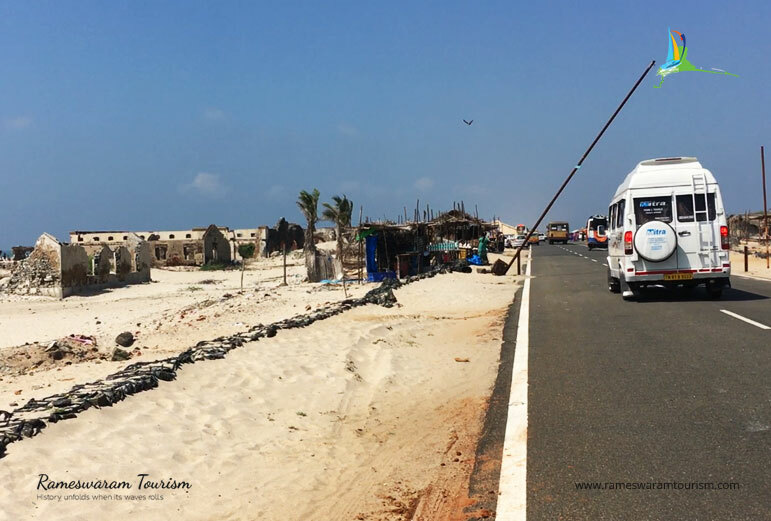 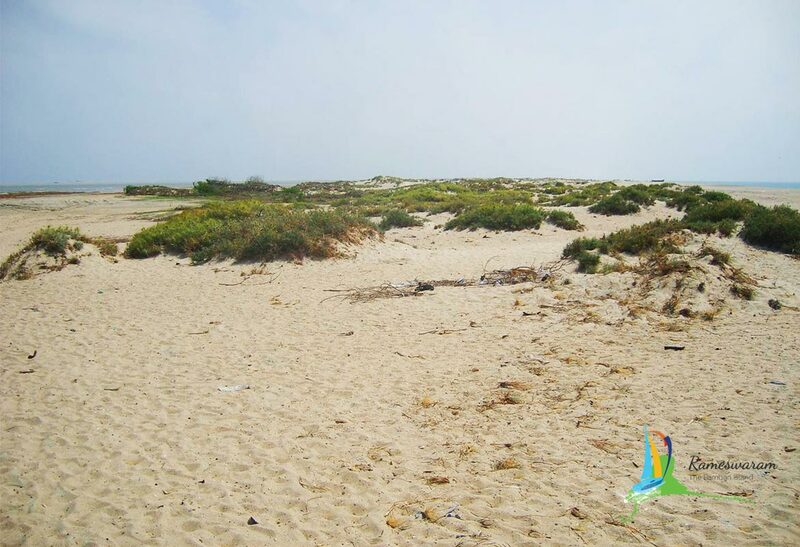 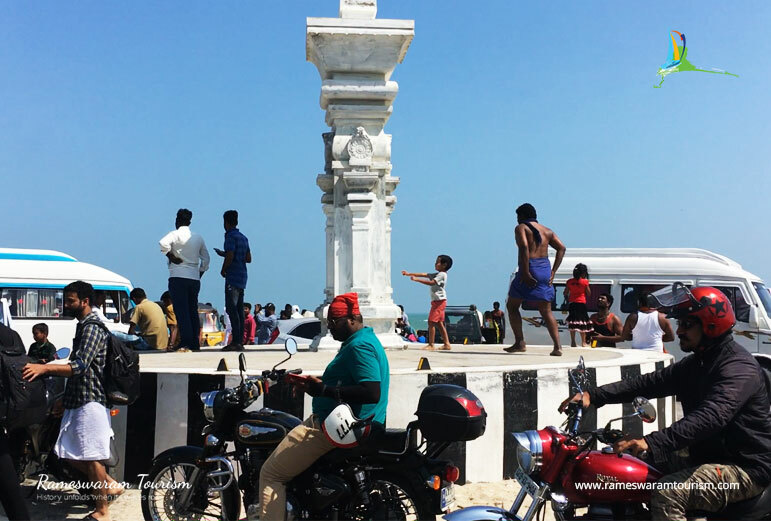 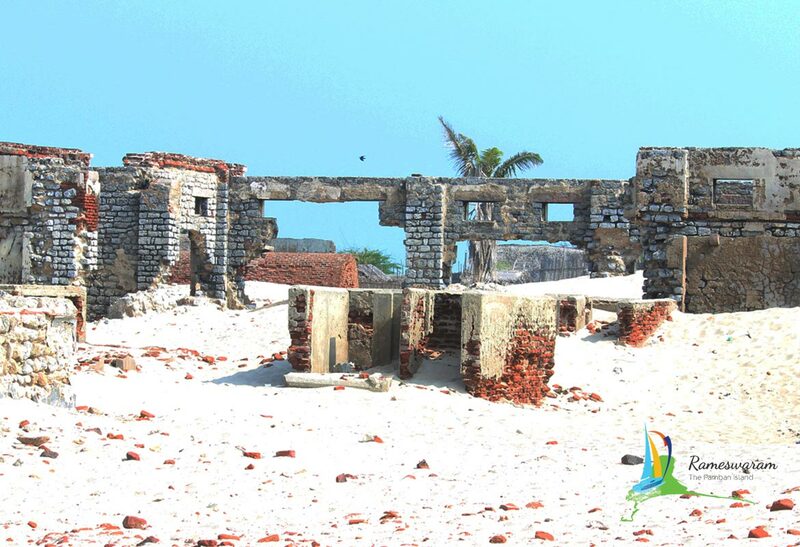 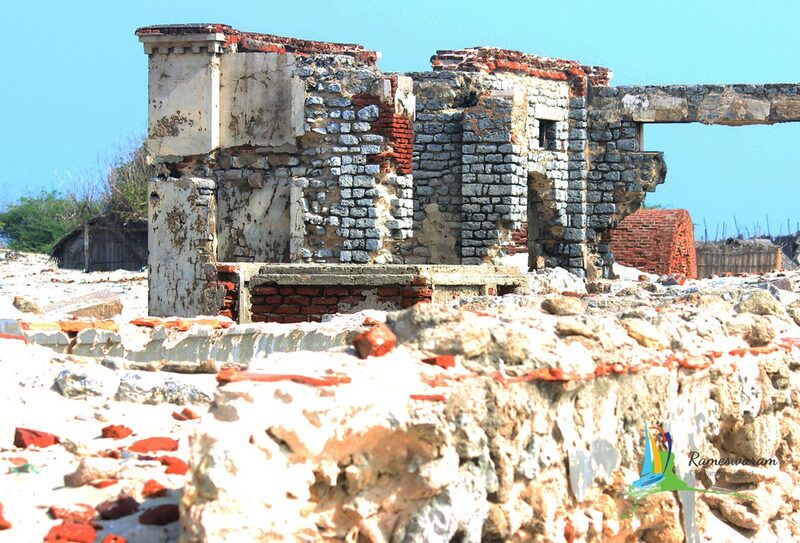 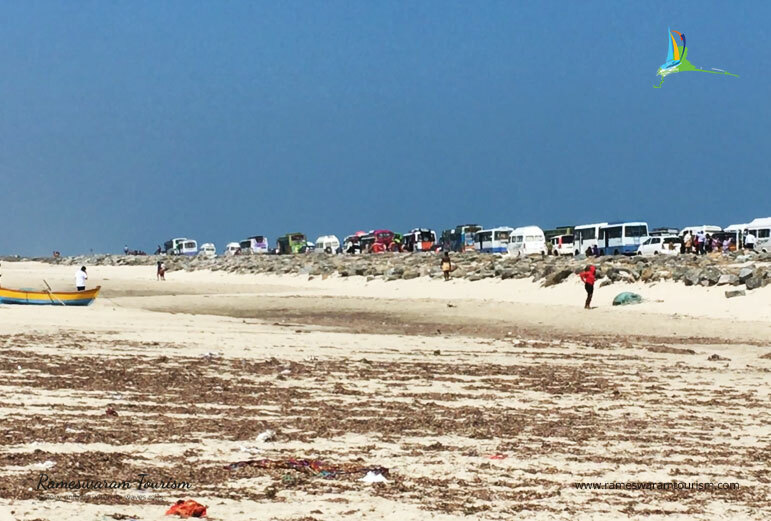 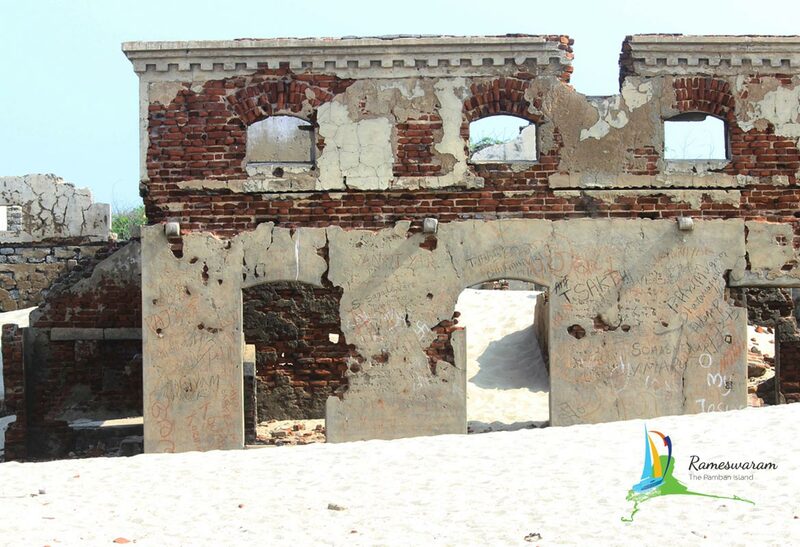 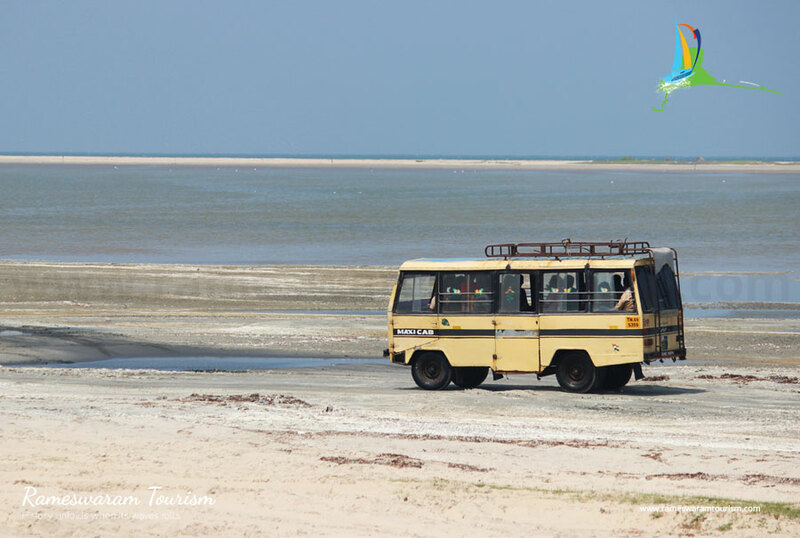 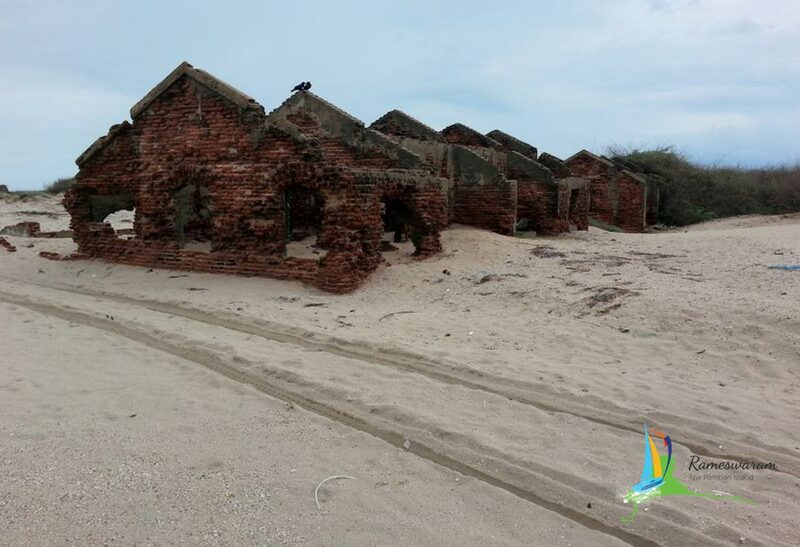 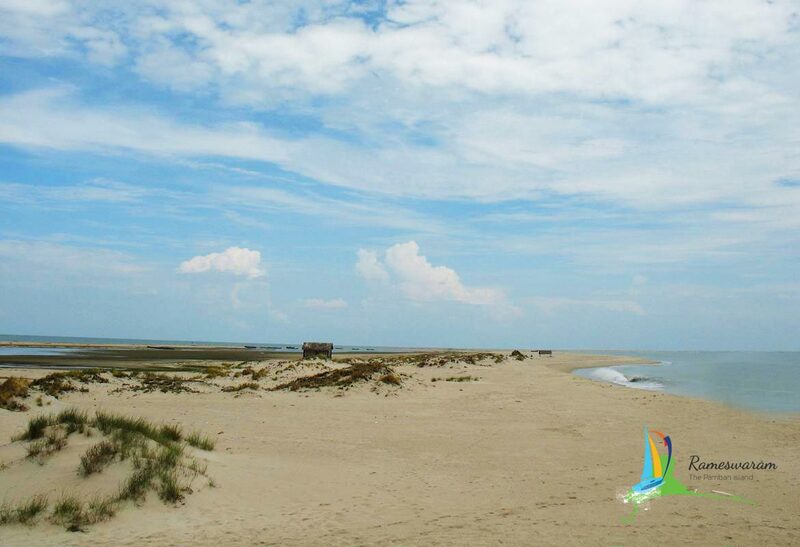 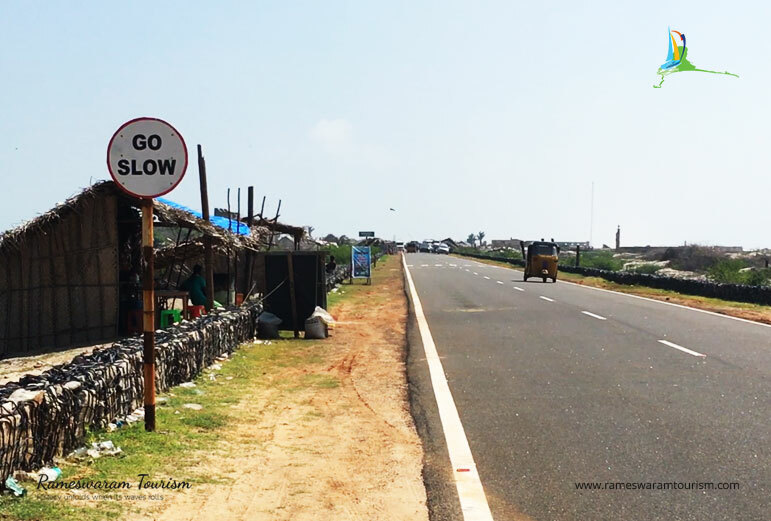 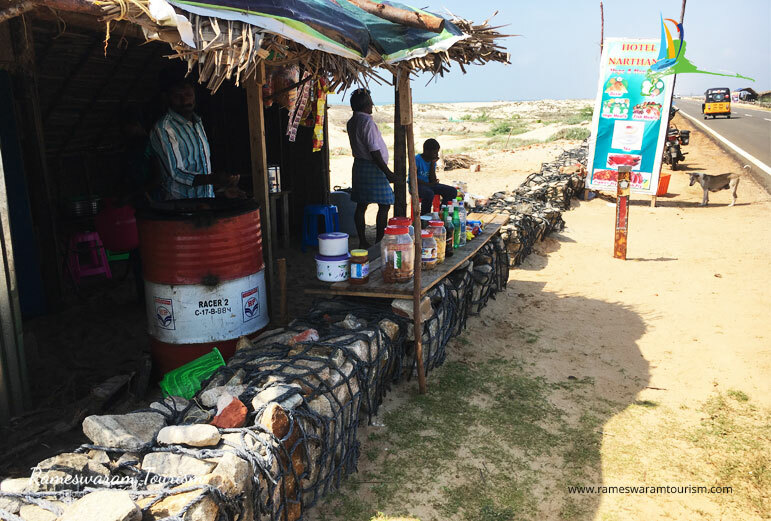 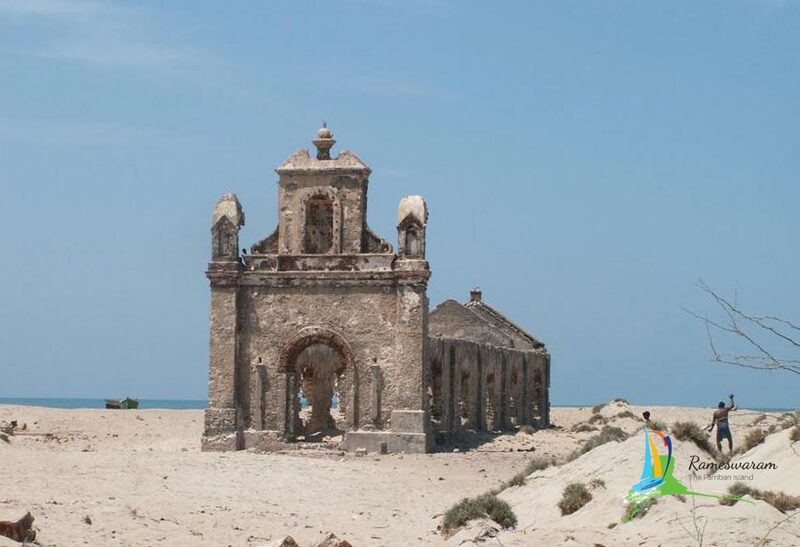 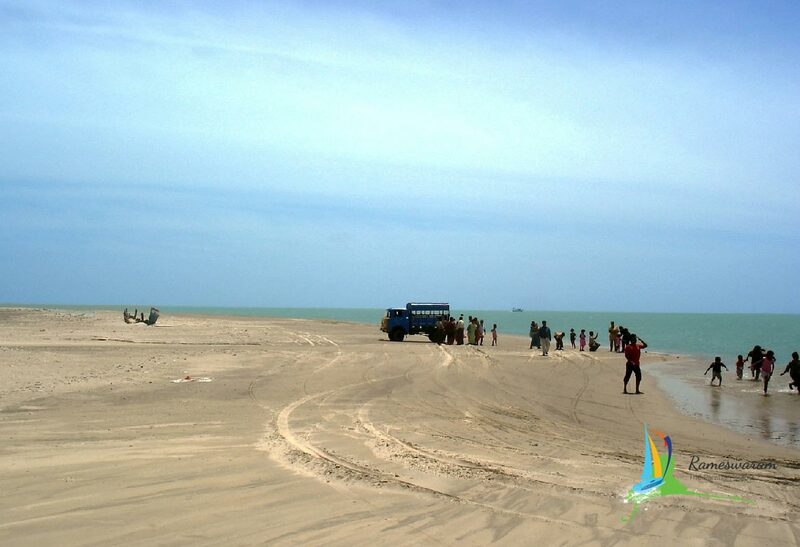 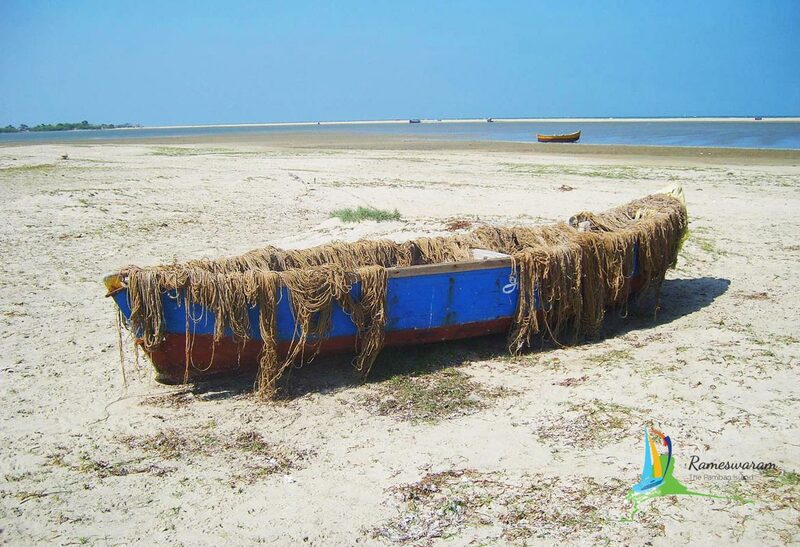 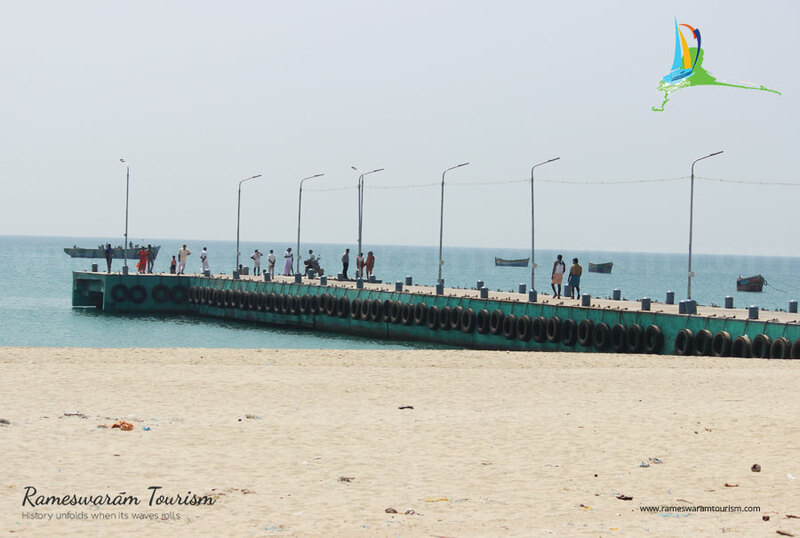 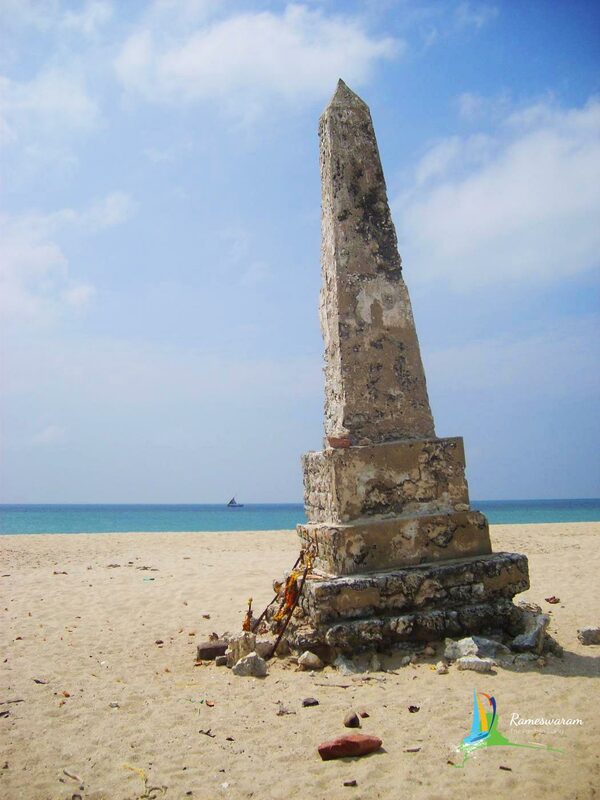 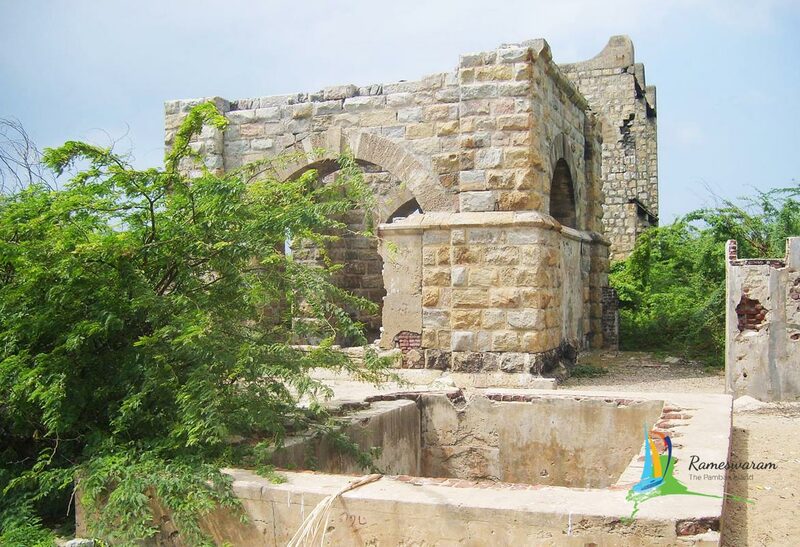 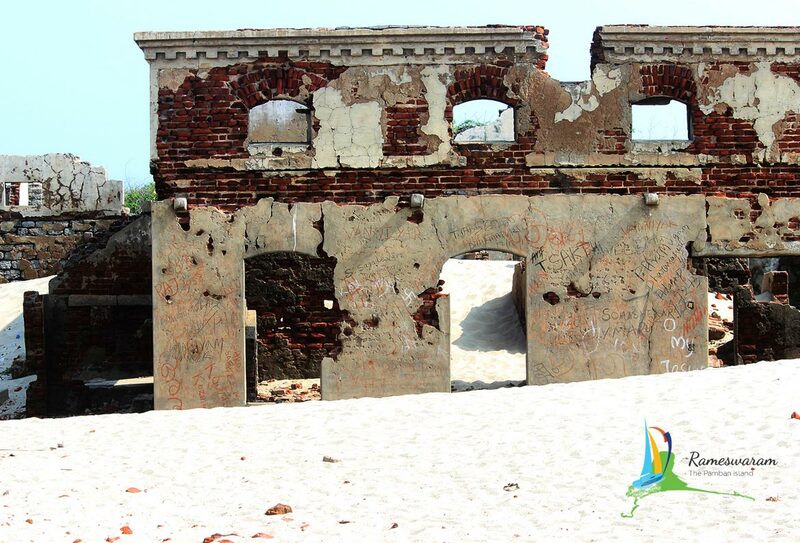 Dhanushkodi was once a busy fishing village and a thriving tourist spot as well. 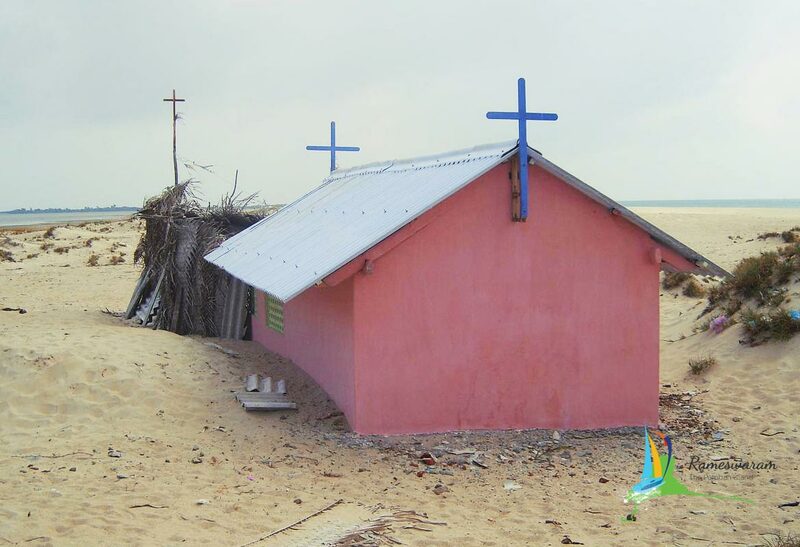 The sand generated by cyclone covered the whole landmass. 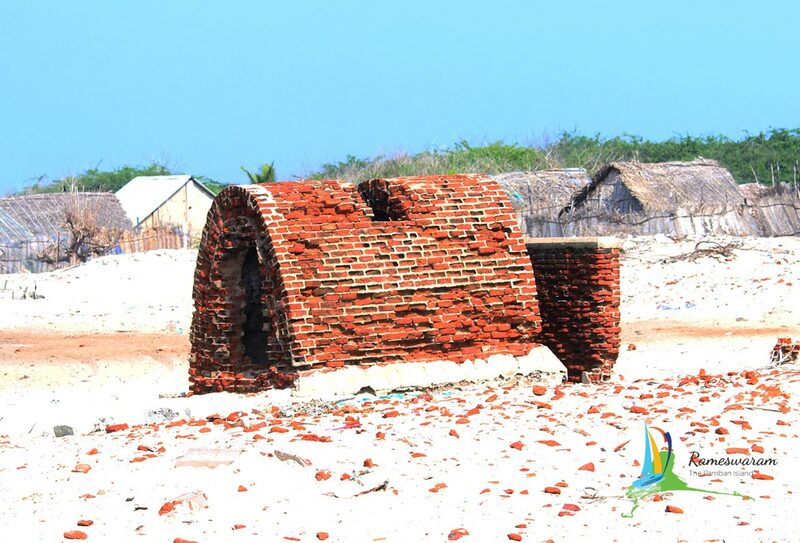 A visit to Dhanushkodi would definitely give it a lot of thought. 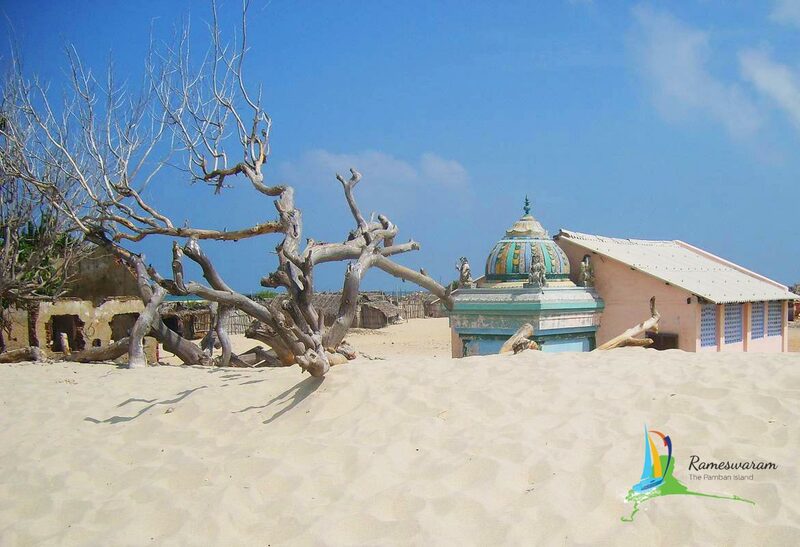 The confluence of the Bay of Bengal and Indian Ocean, The divinity and the town in ruins covered by sand is sure to remain in your mind for a long time. 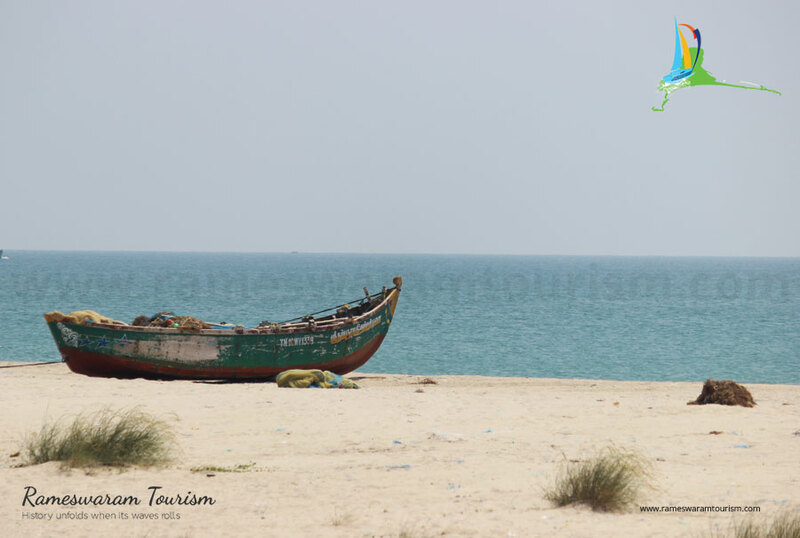 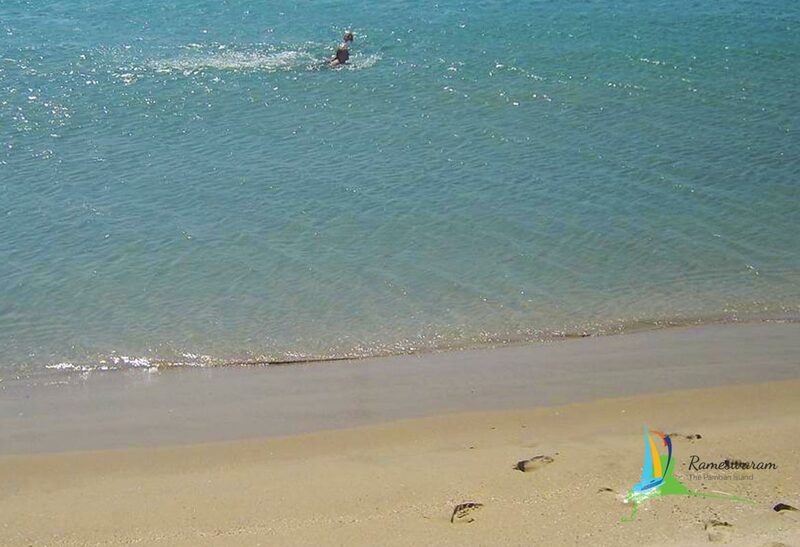 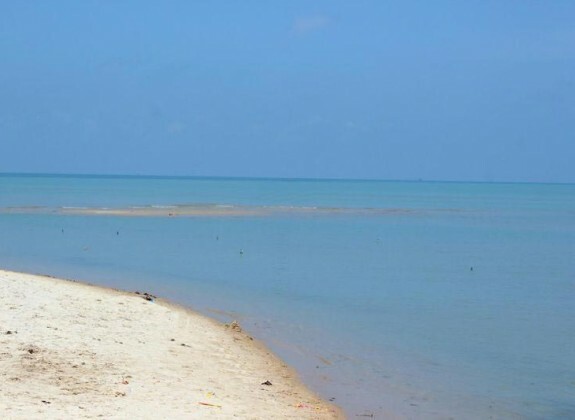 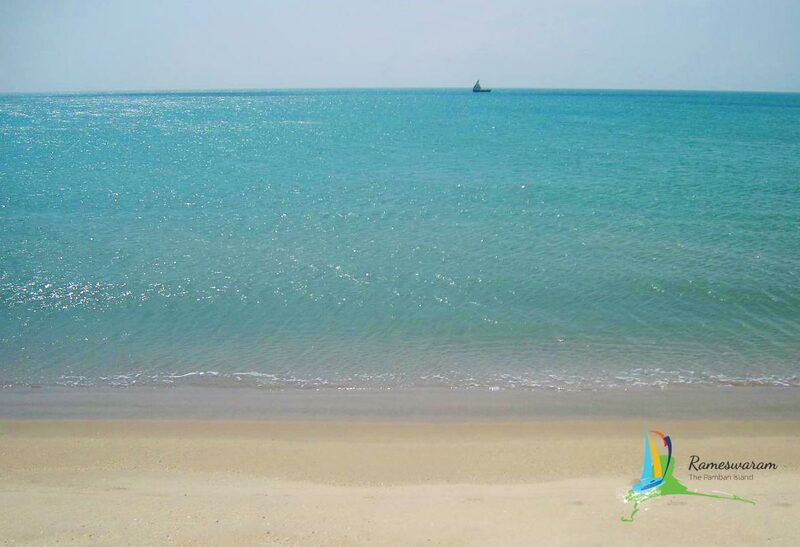 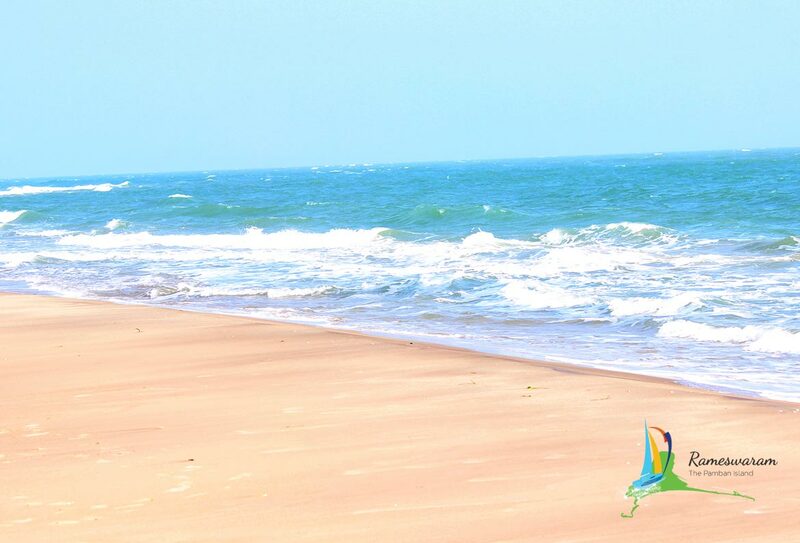 "One of the best beach ever seen in my life, the bay of bengal and arabian sea both are connecting this place and the border is very close to the gulf of mannar. 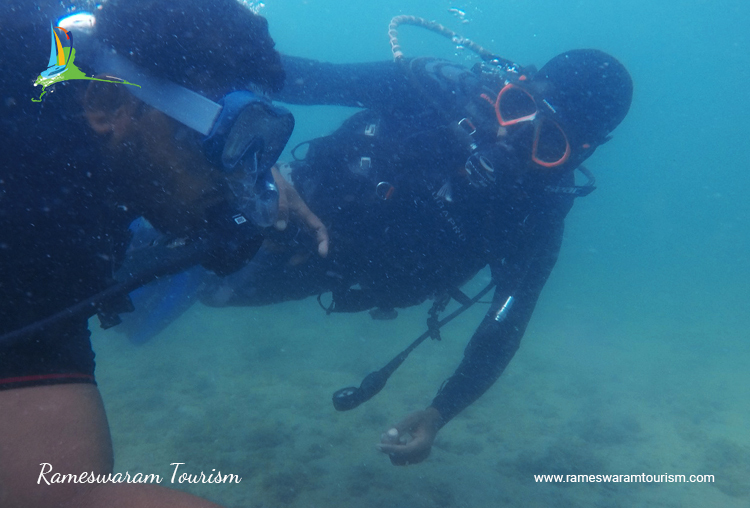 Felt awesome experience and mind blowing. 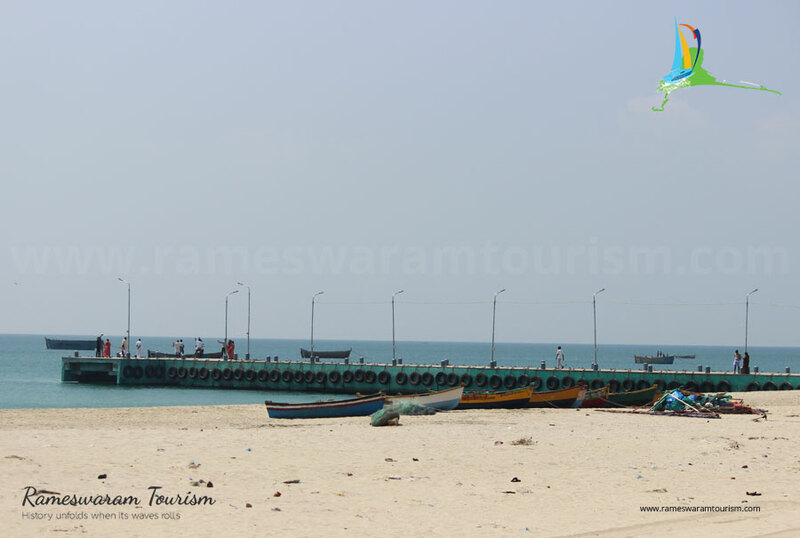 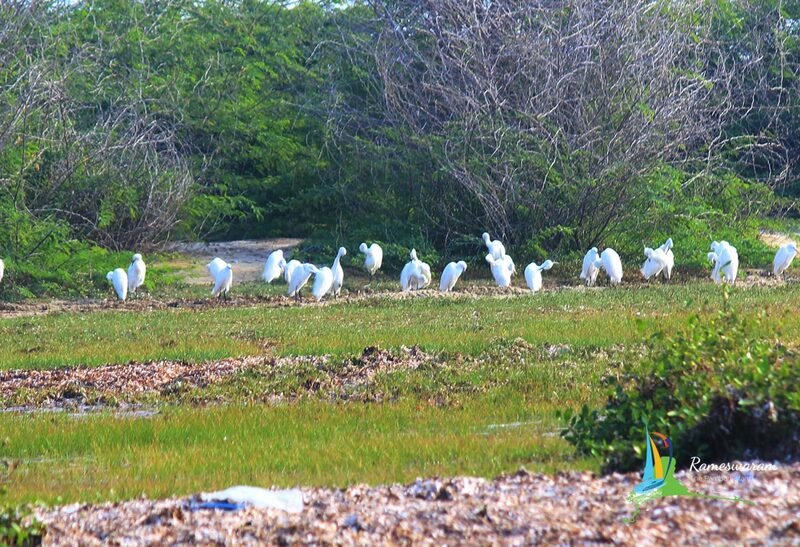 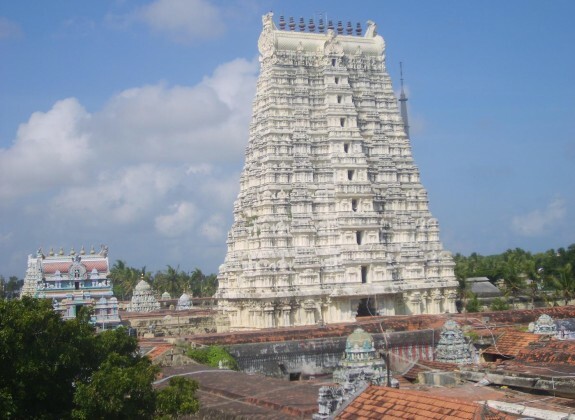 One of the best place in rameswaram so don't miss it."